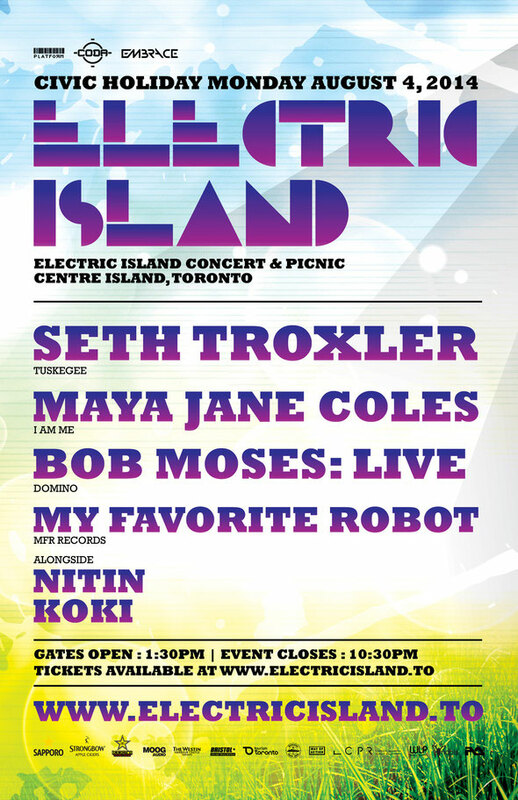 After the magic that happened on Canada Day with headliners Dixon, Martinez Brothers, Henrik Schwarz and DJ Tennis - Electric Island invites you back for the 3/4 concert and picnic series on Monday 4 August 2014. Headlining the Civic holiday celebration will be Seth Troxler, Maya Jane Coles, Bob Moses and Canadian label My Favorite Robot. Once again, the island sets the tone with international talent, making Electric Island one of Toronto's biggest event series of the summer. To kick off the day will be No.19 label boss Nitin and Toronto's Koki (Bohemian Yacht Club). With only two more Electric Island's left of the season, you can join thousands of music lovers for a day of music, food, art, and island vibes this Civic holiday, watching the sun go down behind Toronto's skyline. 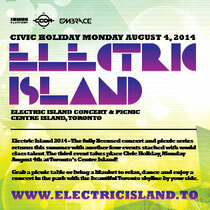 Watch Electric Island Canada Day Re-cap video below, tickets are on sale now for Monday 4 August.